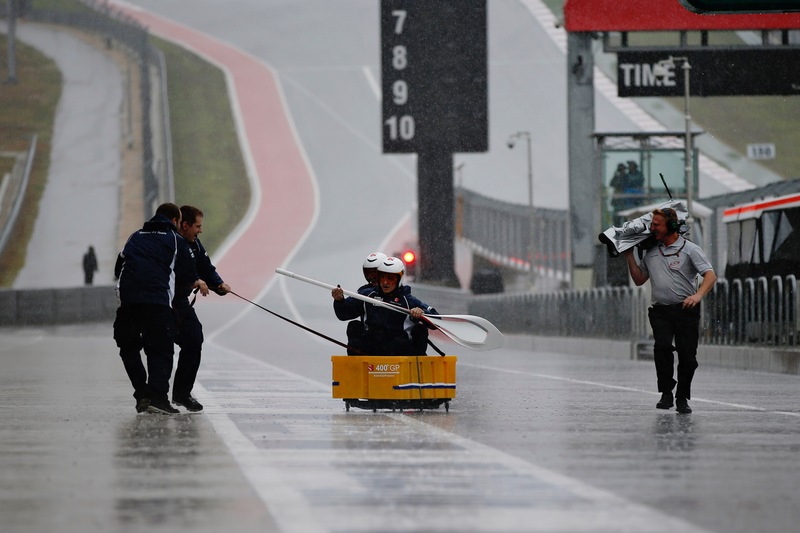 Lotus challenged Mercedes to football, Max Verstappen made a fishing rod (complete with fish), Force India found a mini-skip to play with in the pit lane and Williams formed a rowing team. Best of all, Daniel Ricciardo and Daniil Kvyat re-enacted a Russian dance they’d learned – but it didn’t stop the rain! Watch what the teams were up to here. 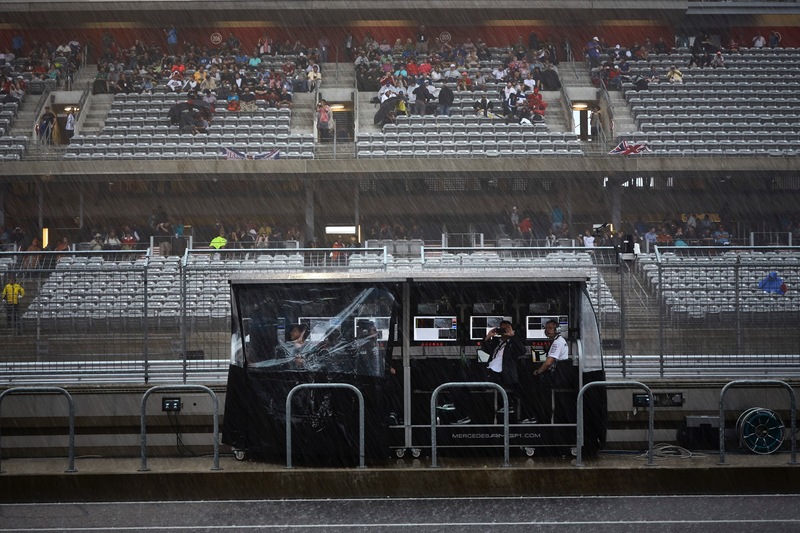 Only one session had been rain-affected in the previous three Grands Prix at Circuit of the Americas, but so far every one this weekend has been affected. FP2 was cancelled, qualifying delayed five times by 30 minutes before it was ultimately postponed to Sunday morning – all thanks to the effects of Hurricane Patricia over Mexico. The circuit drains well but maybe not with this amount of water. There are small streams across the circuit which affect a car’s stability and the effect of spray would be massive. 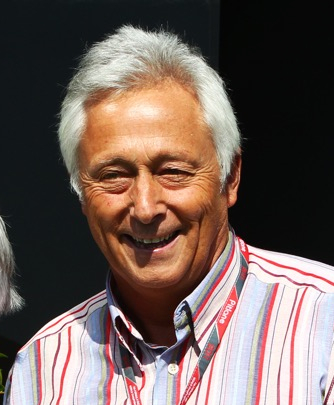 In the end, all of qualifying was deferred to Sunday morning – just as it was in Japan in 2010 when a typhoon soaked Suzuka. 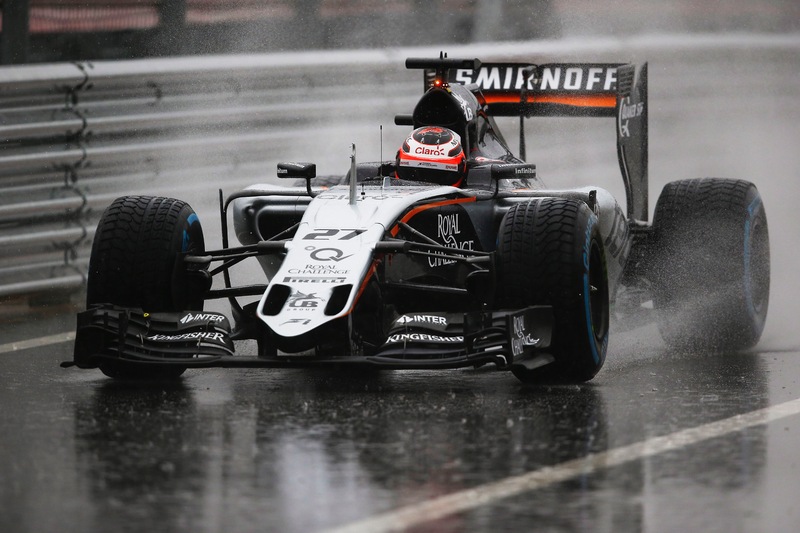 Some drivers excel in the wet and Lewis Hamilton’s fastest time in FP3 on Saturday morning was a superb lap. Sebastian Vettel, however, wasn’t far behind but few people would have expected Nico Hulkenberg to be up there in third place. Similarly, Williams hasn’t been fantastic in the rain so Valtteri Bottas’s fourth fastest time was pretty good although it did look quite an effort. Carlos Sainz set a fine fifth fastest time but then had problems with his energy recovery system while teammate Max Verstappen suffered a misfire and was last.